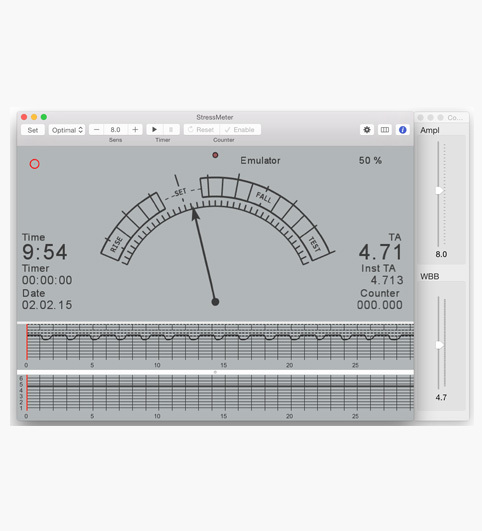 A stress Meter for OS X. An application used to take stress readouts from special equipment. Results are illustrated by a scale and a chart. The application was developed by Sergey (sergey_vanichkin).